There are plenty of places on the Web where you can find ebooks in the EPUB format, but what if you need to create an ebook yourself? Sigil can help you with that. This nifty application allows you to create ebooks using the graphical interface without getting your hands dirty with coding. Despite being a relatively new application, Sigil already sports all the essential features that simplify the process of formatting ebooks and generating ready-to-use EPUB files. Sigil supports most common formatting options such as bold, italics, and underlined as well as different text aligning options. All these features can be accessed via the buttons on the main toolbar. With Sigil, you don't have to start from scratch: the application can import files in the TXT, HTML and EPUB formats. Using the built-in HTML Tidy module, Sigil cleans the imported documents, removing all the cruft and fixing broken code. Sigil's interface sports three views. 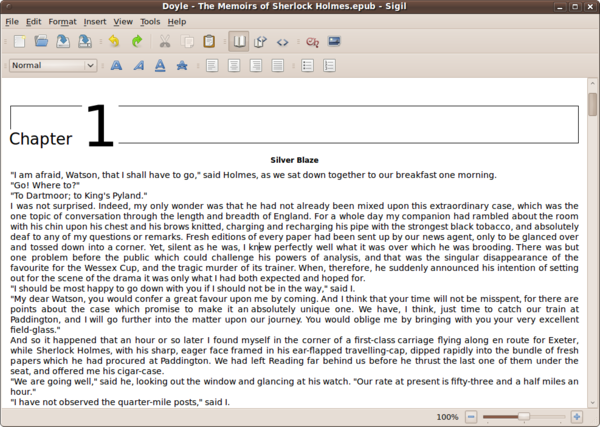 The Book View lets you edit the book graphically, hiding the underlying code behind the WYSIWYG interface. If you want to keep an eye on the code, you can switch to Split View, and in case you prefer to code your book by hand, there is the Code View that allows you to do just that. Sigil also comes with a metada editor which supports more than 200 entries and lets you provide a comprehensive description of your book. And you can use the Table of Contents editor to easily generate a multi-level Table of Contents for your book. Once your book is ready, you can save it as an EPUB file that can be viewed in any ebook reader application that supports the popular format.